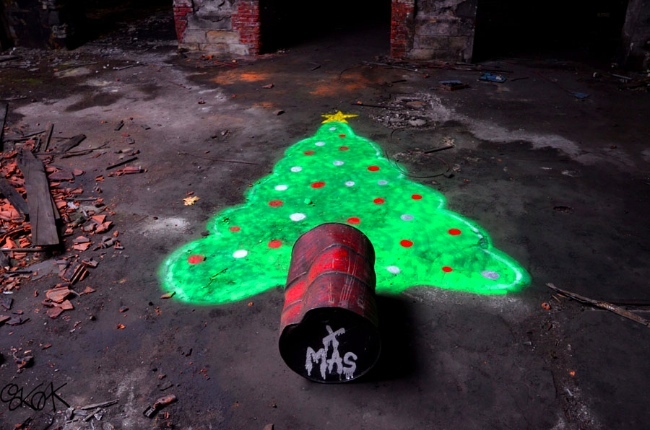 The festive season is upon which has and always will inspire artistic creativity. 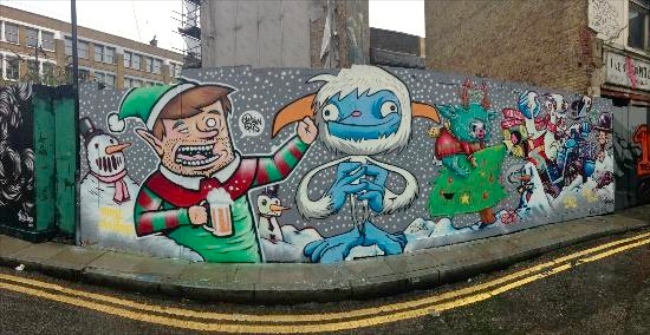 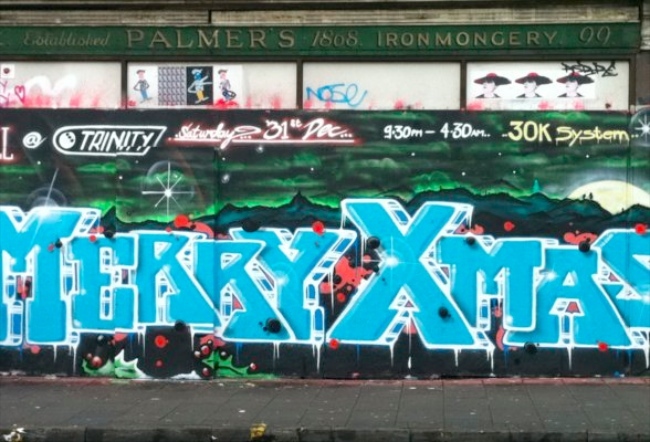 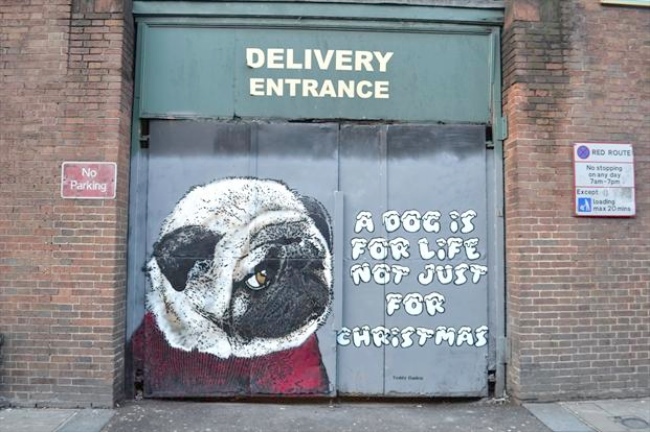 While British street artist Moose just created a pretty incredible Christmas scene with only a toothbrush and moss (!) 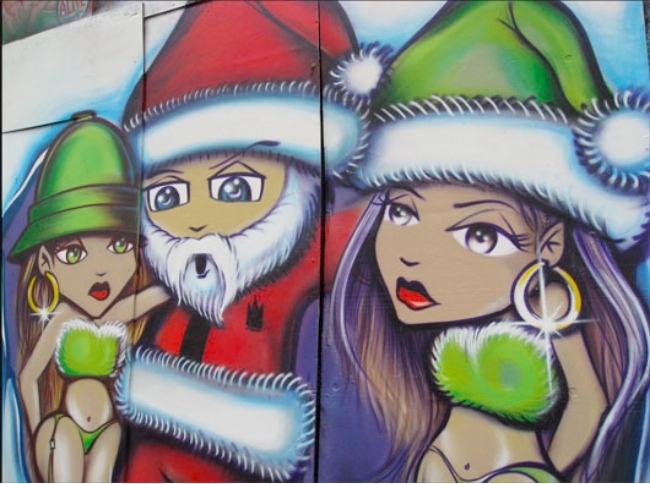 on South Bank wall Moose – see more of Moose aka Paul Curtis Christmas scene, there are many holiday themed street and graffiti artist creations. 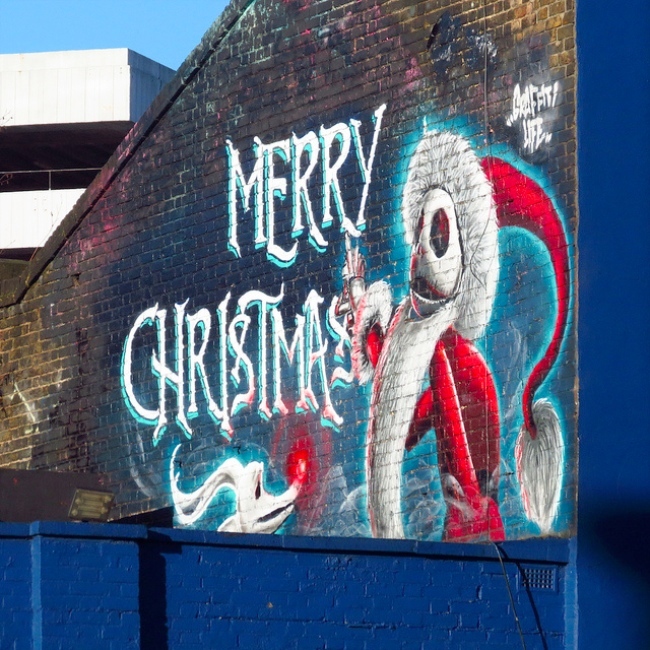 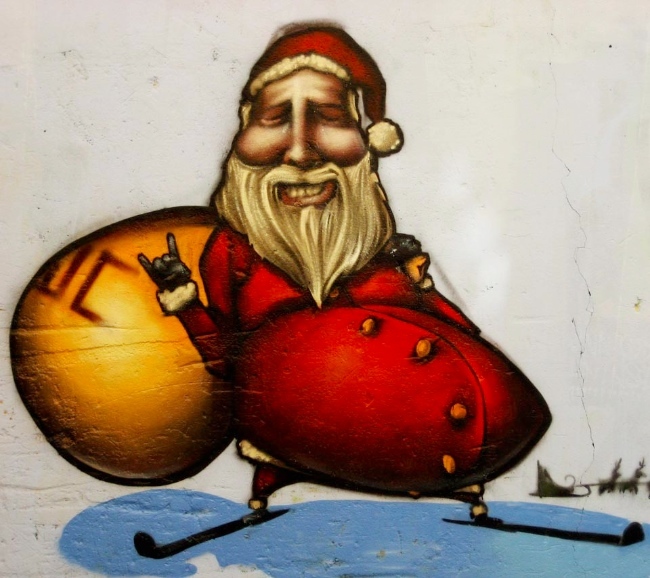 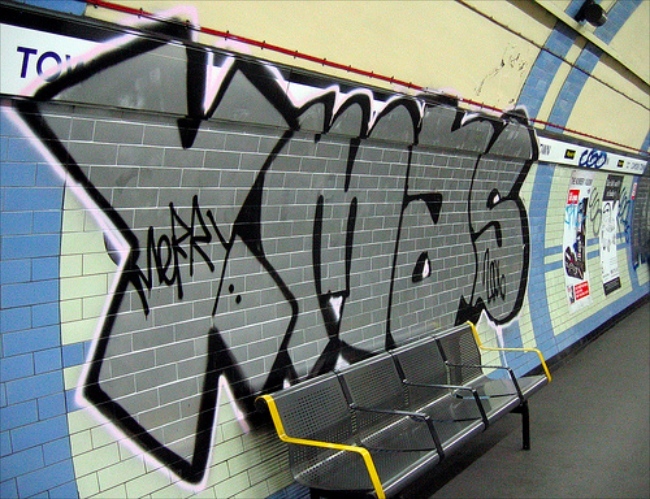 Scouring outdoors and the web, ten recent and some less so graffiti or street art Christmas-related awesomeness caught our little eyes, see below.